Happy Halloween–have some spare BRAIN…power? Our doc set on mitochondria and misfolding has reached 80% complete up from 60% complete just two weeks ago. 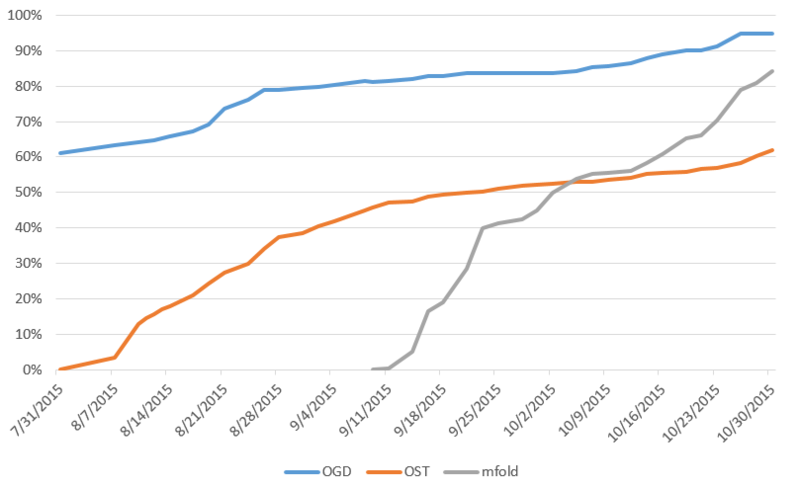 The larger OGD and OST doc sets have also been slowly creeping upwards thanks to you! Whether you are one of the four people who completed over 30 quests in the last two weeks or one of the fifteen who completed at least one quest, THANK YOU! Each quest completed brings us closer to finishing the doc set. Please continue to treat yourself to some brain-stimulating quests so that we can hopefully do something about the horror of a rare disease like NGLY1. If you are planning to take your food-sensitive child or grandchild out trick-or-treating, keep an eye out for porches with teal pumpkins which have pledged to keep non-food treat options on hand. If you’re generously staying home and giving out treats, why not kill some time and clobber some quests while you’re at it? Just in time for Halloween, our top user this month is LabZombie, whose obsession is not brains, but “connecting the dots”. Join this user and many others in connecting the dots and let’s find clues faster!